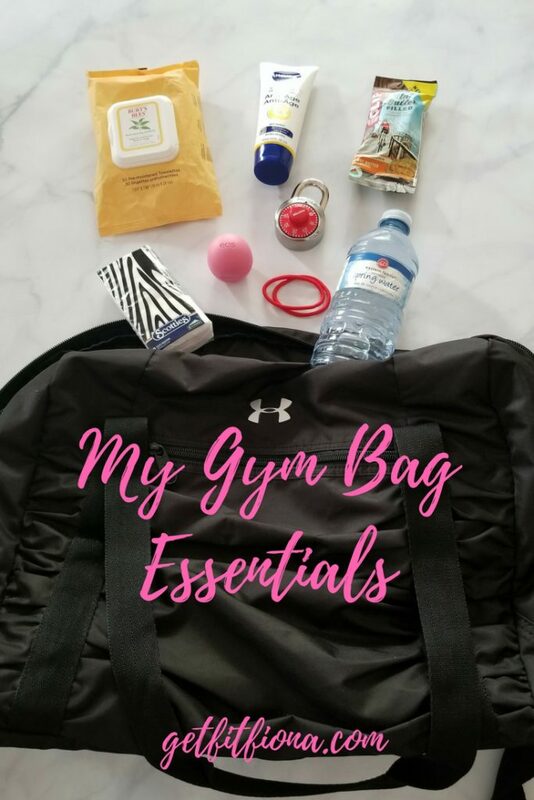 Today I’m sharing the things that I make sure are in my gym bag every time I head out for a workout. Burt’s Bee’s Facial Cleansing Towelettes // Since I typically only wash my face once a day at night, these Burt’s Bees Facial Cleansing Towelettes (affiliate link) are perfect for post workout sweatiness. My skin is prone to breakouts, but I’ve found that using one of these post workout in the locker room really helps to prevent blemishes. One towelette is more than enough to clean my face. The scent isn’t overpowering, and even better – I don’t have to rinse my face after I use it, so it’s perfect for when I’m on the go. Check out my review of them here. Peanut Butter Filled Clif Bar // If you’ve been reading my blog for awhile, you’ll know that I’m a huge fan of Clif Bars. These Peanut Butter Filled Clif Bar (affiliate link) are perfectly portable and are great for when I’m hungry after a tough workout. The peanut butter really helps to keep my hunger in check. They’re quick and easy to eat on my way out of the gym when I’m in a hurry. Plus they’re not messy so I don’t have to worry about making about crumbs or utensils. Kleenex // I don’t know what it is about working out, but it always seems to make my nose run afterwards. Sniffling drives me crazy, so I always make to have a travel package of Kleenex in my gym bag. Usually my nose is running by the time I get back out to my car, so having Kleenex around when I need it is perfect. EOS Lip Balm in Strawberry Sorbet // I was recently sent this lip balm to try (you can read my review here). 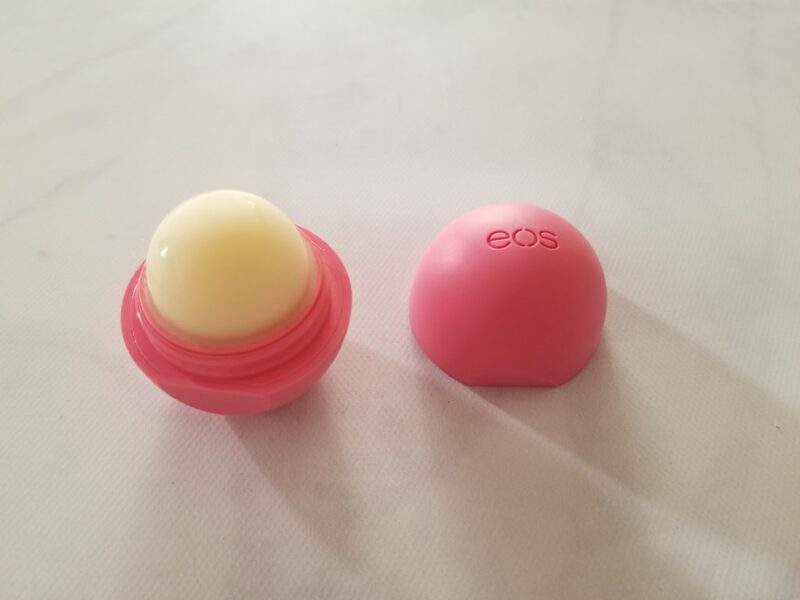 This EOS Strawberry Sorbet Lip Balm (affiliate link) has made its way into my gym bag. I hate having dry lips, so it feels like I’m applying lip balm all the time throughout the day. Making sure I have lip balm in my bag to put on before or after a workout means my lips feel great and they don’t drive me crazy. Lock // I don’t dare leave my stuff in a locker unlocked in the change room. Even though I love the sense of community at my gym, I know that there are people who would love to take advantage of an unlocked locker. Since I leave my car keys and wallet in my gym bag, I want to make sure that they’re secure. Extra hair ties // I’m one of those people who absolutely cannot workout if I don’t have my hair in a ponytail. Sweating is bad enough, but having sweaty hair in my face and on the back of my neck is the worst. It only took one time of me showing up to the gym without a hair tie to put some extra ones in my bag. (I ended up asking for an elastic at the front desk to put my hair up. It wasn’t fun taking out, but at least my hair was up.) Not only do my hair ties tend to disappear, but every once in awhile they break, so having a few extra is never a bad thing. An extra bottle of water // Just like when I forget to put up my hair before I get to the gym, I’ve also been known to forget my water bottle. This makes for a pretty miserable workout, so I always make sure I have an extra one in my bag just in case. When I go to the gym before work I’m usually still have asleep, so it’s easy to forget about my water bottle in the kitchen. Making sure I have an extra one already in my bag is perfect for when I’m forgetful. 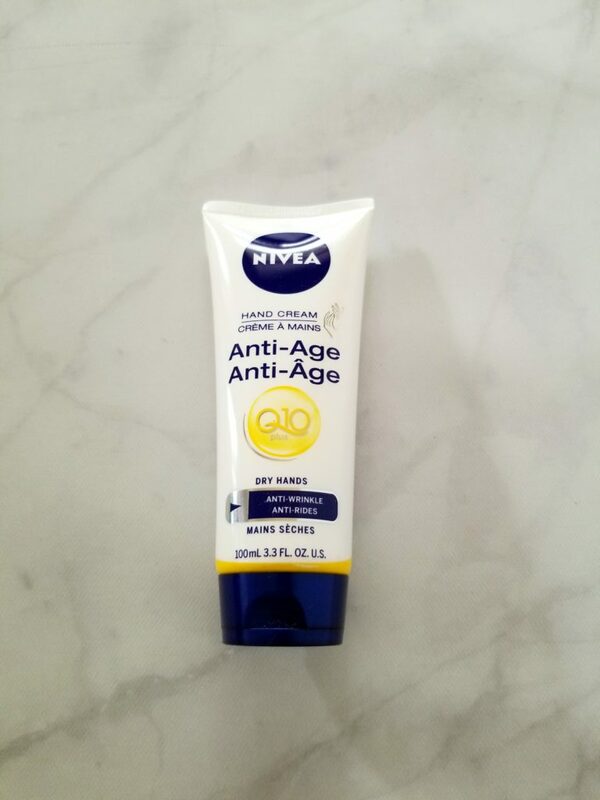 Nivea hand cream // Along with dry lips, I hate having dry hands. It just doesn’t feel good, so I end up applying moisturizer a couple times every day. Calgary is particularly dry, so its easy for my skin to dry out if I’m not being careful. This hand cream from Nivea keeps the dry skin at bay though. I usually put it on after a workout just before I leave the gym. This post contains affiliate links. Thank you for supporting my blog, I appreciate it!